Cambodia, Vietnam, and Afghanistan, the primary countries that we work in, are all ranked Tier 2 countries by the TIP Report. This means that while they do not meet the minimum standards for the elimination of trafficking, they are making progress in trying to do so. We are working alongside governments in all three countries to combat trafficking. We acknowledge Afghanistan’s movement from Tier 2 watch list to Tier 2, but we assert that there is more to be done. Hagar has a strong presence in Afghanistan, working with women and children, and particularly with young boys who have been trafficked. The TIP notes the dangers for boys being trafficked for sexual and combat purposes, and we’re proud to say that we run a recovery project for boys in response to this issue. In the last year, we began the early stages of implementation of our project to Combat Human Trafficking in Afghanistan (CHTA), in partnership with the government and local NGOs. 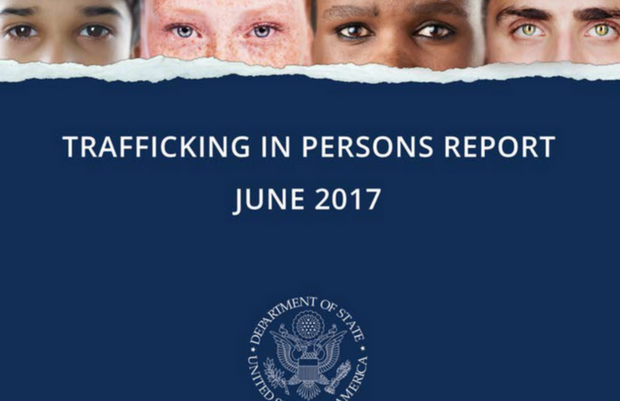 The TIP acknowledges Cambodia’s efforts against trafficking, with a significant rise in prosecutions throughout the last year. We’re proud to be involved in that effort, ensuring that children are well supported throughout court proceedings. We’re also proud to be involved in the protection of children online, as the TIP notes the significant rise of online exploitation worldwide. In June of 2017, Hagar ran an online safety campaign for children in Cambodia, the first of its kind. Vietnam remains a source, transit, and destination country for trafficking victims. In 2016, Hagar facilitated an anti-trafficking capacity-building training for local authorities and government officials, hosting a workshop with 80 officials from 20 provinces. We believe in empowering the countries and communities that we work in to enact the change that they need. Each country highlighted in this year’s TIP report has a human face. We see these faces, we hear their stories, and we are committed to their healing and freedom. We want to walk alongside them for the whole journey. To read the TIP report in full, click here.